Those words are the root of all innovation. They’re what it takes to start up a new business, shake up your existing company, launch a new product. They’re the words of your inner Creative. And most of the time, they’re followed by a long list of reasons why you can’t possibly do what you just said. That’s your inner Critic, always ready to pounce, often with a more confident voice. As a career and life coach, I spend a lot of time with my clients trying to protect their inner Creative. It’s fragile, like a baby bird. It’s also powerful: that moment of insight when you admit what you really want to do is the first step to significant change. And it’s hard to protect your Inner Creative when uninvited critics abound: in your head, possibly your well-intentioned but protective friends and family, even those resistant to change within your organization. Here’s the secret to nourishing that Creative: understanding the three different modes of the creative process, as embodied by one of the world’s great innovators. Researchers say that Walt Disney wore three different hats when he engaged in his work: the Creative, the Critic and the Planner. Disney would literally dress and act differently when he was in each role, and coworkers could identify which Disney had shown up at that day’s meeting. Disney’s animated movies, characters and theme parks? Those were conceived in Creative mode, the brainstorming mode in which no idea is bad. Ideally, that mode is a highly protected space full of vision and inspiration. Once you’ve decided to make your creative idea a reality, turn to Planner mode. Planners and Creatives are pals, because Planners do not question the plan: Their mission is to turn it into reality. You want to put a man on the moon? Yes, sir! We’ll figure out how to do it! When Disney’s inner Creative decided to create a singing, dancing mouse, his inner Planner did not question the mouse, it simply started figure out the steps to bring that mouse to life. Who did question the mouse? The Critic. The Critic finds weaknesses that could make the plan fail. Critics mean no harm; they’re just trying to ensure that every possible stumbling block has been removed. You know Critics: the friend who tells you that you need more sleep, the doctor who tells you to lose weight. They just want to help you be your best you. Critics are an important part of the team. But, here’s the key to innovation: the Critic must stay far away from the Creative. They can never, ever inhabit the same space or conversation. The Critic is far too assertive, the Creative is far too fragile. The Critic can smother the Creative before the Planner can even show up. Bring a Critic into the Creative’s space and the ink jumps off the whiteboard, dust on the ground. You don’t run on baby grass. The Disney model, which was developed by neuro-linguistic programming trainer Robert Dilts, is now a widely accepted creative thinking method used by many companies. But, in my 12 years as a coach, I have yet to find a client that has actually heard about this framework. When the Critic shows up during a Creative session, I’ll ask clients, “Have you ever heard of the Disney model?” Crickets. And not the Jiminy kind. Her biggest challenge: facing those Critics. Not just the one in her brain — who constantly told her that, as a woman of both Latin and African-American descent, she had a responsibility to excel in the legal field — but also her family, who questioned her giving up such a lucrative career. Awareness of the Disney model helped her be aware of this dynamic and form a plan to engage with her Critics. 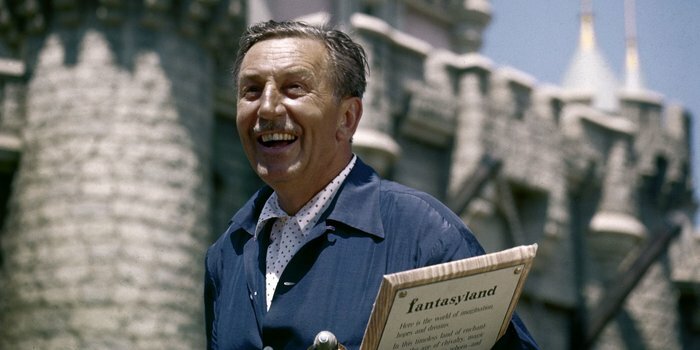 Take a cue from Walt Disney, and dress differently when you’re in each mode! Perhaps have a literal hat that you only wear when you’re in creative mode. Companies often employ the strategy of designating conference rooms for each way of thinking. Try this in various areas of your home — or appoint a park or coffee shop as your strictly creative zone. Write down what comes out of your head in a stream of consciousness. Later, look at each sentence and determine whether it came from an inner Creative, Planner or Critic. It’s useful to see what percentage of your ideas are actually critical. Make sure the Planner is welcome. Maybe your inner Creative is beaten down in part because you have too many great ideas that never get done, and you need to spend more time in planning mode. Or maybe the Creative has become confused by intense emotion, and can be reassured by the Planner’s methodical approach to executing the idea. الحقوق لـ © Aphcarios.com, جميع الحقوق محفوظة.